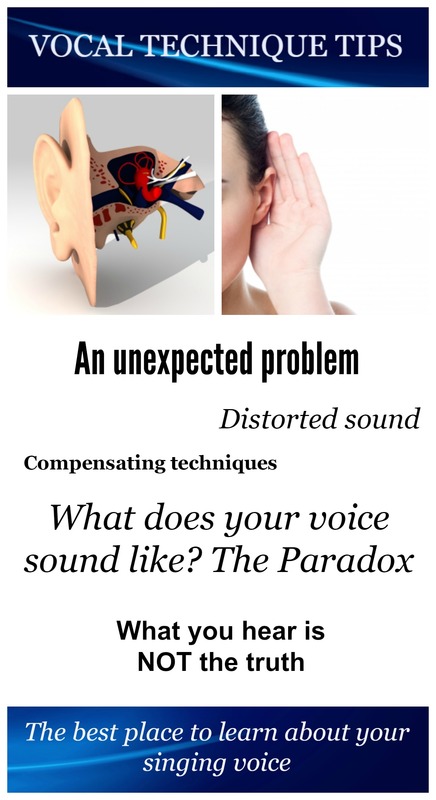 While improving your vocal technique, you will encounter an unexpected problem; your ears do not tell the truth! The majority of sound you produce enters your ear from the inside. That is to say, the sound of your voice reaches your ear by traveling through your throat, your mouth, your nose, muscles, bones, etc. 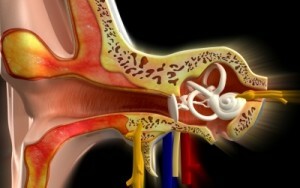 It is heavily distorted when it enters your ear! So what you hear is NOT the truth! It becomes clear when we hear a recording of our voices. Both the singing voice and the speaking voice sound very different when you hear yourself in a recording. 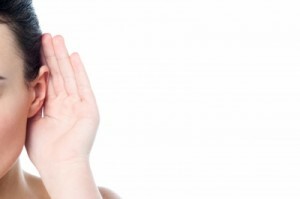 When improving your technique, be aware of the fact that your ears will give you FALSE INFORMATION about your singing. One of the major distortions of your own voice has to do with the desire to hear a warmth and fullness in your own voice. The distortion prevents you from hearing the complete sound of the voice, it sounds ‘thinner’ than it actually is. Many singers compensate this lack of ‘body’ in their voices and will lower the larynx and/or pull back the tongue because it will sound better, warmer, darker. But by compensating, your voice looses it’s fullness, ‘ring’ and power. Most singers do not realise they are compensating but will notice that singing takes more effort than it should. It is important that you start to develop a habit of FEELING instead of listening when it comes to vocal technique. Especially singing in a choir requires you to check your vocal technique by FEELING your technique in your body. The singers around you produce a lot of sound which makes it even more difficult to determine whether you sing with a proper technique or not. One way to check yourself is to make recordings of you singing on a regular basis. But the best way to tackle this problem is studying with a good voice teacher.